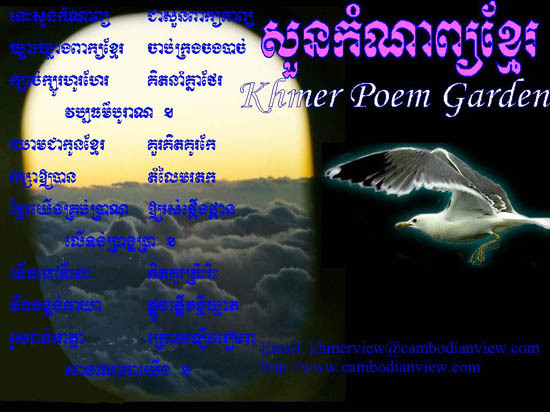 Welcome to our White Pigeon Khmer Poem Garden. Please send your poems to our garden! We appreciate to publicize your poems in here. We keep the rights to select the reliable poems.